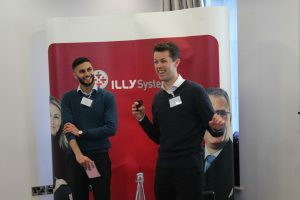 We would like to thank everyone who attended our 12th ILLY National User Group – it was brilliant to see so many people come along and get stuck into the day. At ILLY, our mission is to drive positive social change through the use of technology and data, and we are incredibly lucky to be partnered with so many passionate organisations who work with us to turn this into reality. Our Client Services Team explained the work we have been doing over the last year to ensure that we are building systems with you, not just for you. The Support team shared the core infrastructure investments we have made to help ensure that our systems are performing at their best. 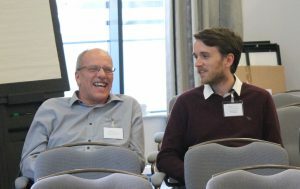 Our Developers presented the CarePath Digital Interventions suite- a new set of tools that we’ve been working on which will allow you to use remote and digital interventions to enhance your service delivery model and fully support a holistic treatment journey. 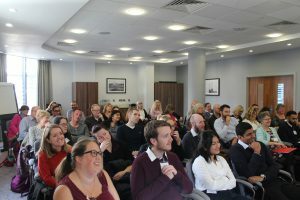 Our Implementation lead presented the new CarePath Sexual Health Module, which we’ve developed in conjunction with existing customers to support integrated Sexual Health / Drug and Alcohol services, allowing you to keep on top of developing trends in the sector. 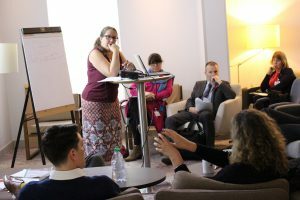 In the afternoon session, we engaged our system users in a number of consultative workshops to gather feedback and discuss improvements for future system development. There were some great suggestions raised and many creative ideas for us to take away. Safeguarding – How can we help keep vulnerable clients safe and minimise harm? V2019 – What features should we introduce for the next version of LINKS CarePath? This year’s winner was Didge Oku, of The Edge YP service in West Berkshire. We’ll be publishing a profile on her shortly to showcase all the amazing work she has done. Once again, thanks for making it such a special day. We look forward to seeing you again next year! Next Steps: Our client services team will be in touch with the attendees to gather feedback from the day and arrange any actions going forward.